ASNE’s Youth Journalism Initiative, launched in 2000, is committed to helping students learn why news matters and acquire the skills needed to succeed as 21st-century citizens. The Initiative invests in the future of journalism and democracy by providing resources and training in youth journalism; news, information and media literacy; and the First Amendment and civic education. This go-to education site for students and teachers provides hundreds of lesson plans and resources related to journalism, news literacy and civic education. 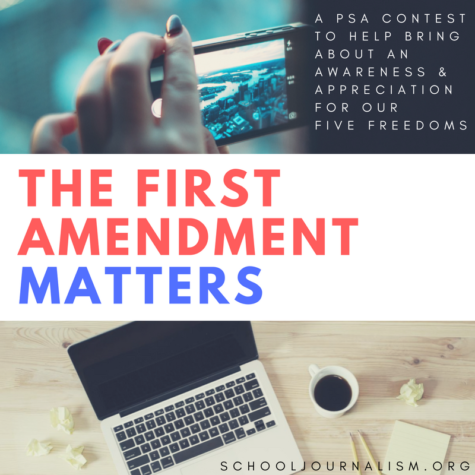 Whether you want to learn, teach or create news and information using digital media tools or increase your understanding of the First Amendment and democracy, this site can both inspire and instruct! The Student Advisory Board helps young people to learn, connect and be heard and offers them educational opportunities and interaction with journalism professionals. All students are welcome to apply and may join at any time. Members interact in a closed Facebook group where discussions are moderated by professionals with experience in student media and journalism. Members also participate in Twitter chats with guest moderators and enjoy other special opportunities. In 2014, members participated in a press call with officials at the White House regarding the First Lady’s visit to China. Members also had the opportunity to be panelists in a live chat about journalism ethics during an online screening of the documentary “A Fragile Trust,” hosted by PBS. In the past, the Student Advisory Board of the MIPA Youth Journalism Initiative served as the voice of young journalists. Advisory board members exchanged ideas about what is important to them and their peers. Members from around the country interacted with each other in a private Facebook group where they share challenges, successes and tips with each other, as well as discuss current events in the journalism industry. Moderated by professionals with experience in journalism and advising student media, the group served as a meeting place for members to connect and learn from one another. Due to a lack of interest and participation in recent years, the Student Advisory Board was disbanded in the spring of 2017. Members also had the opportunity to be panelists in a live chat about journalism ethics during an online screening of the documentary “A Fragile Trust,” hosted by PBS. The Youth Journalism Initiative supports several ASNE news literacy efforts, including the development of a model news literacy curriculum for social studies, language arts, science and math. Teachers can use the lessons as a springboard to incorporate news literacy skills into every academic discipline and help students learn critical-thinking skills for analyzing and judging the reliability of news and information in everyday problem-solving and real-life experiences. Each lesson addresses a guiding news literacy question and aligns with Common Core State Standards. A Creative Commons BY-NC-SA 4.0 License allows teachers to adapt the lessons for educational purposes. The project was developed in partnership with the Journalism Education Association and funded by the Robert R. McCormick Foundation. These groundbreaking youth journalism initiatives are generously funded by the John S. and James L. Knight Foundation, the Robert R. McCormick Foundation and the Donald W. Reynolds Foundation.